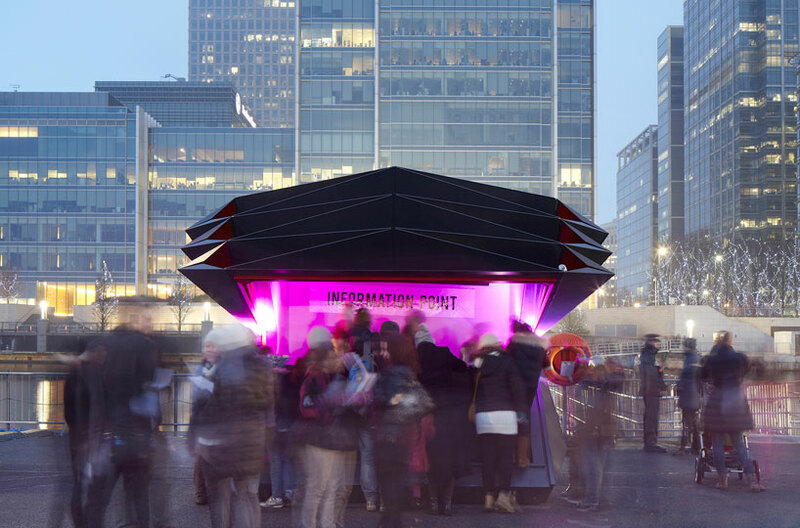 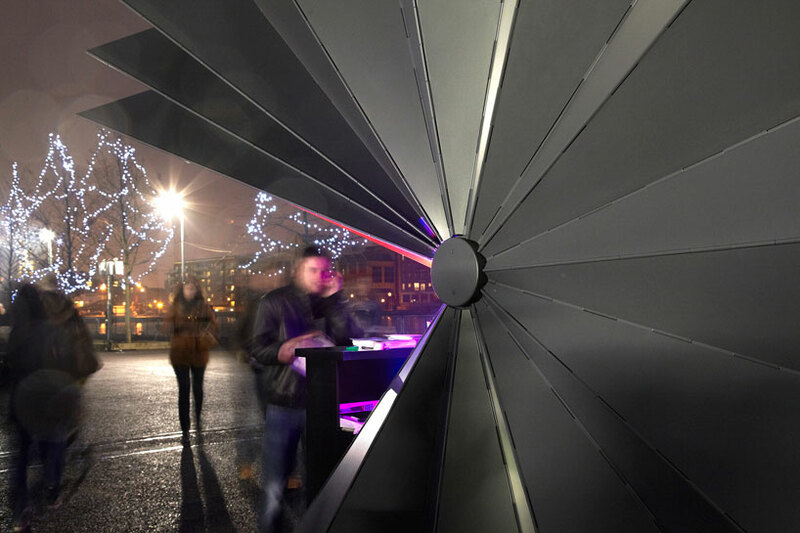 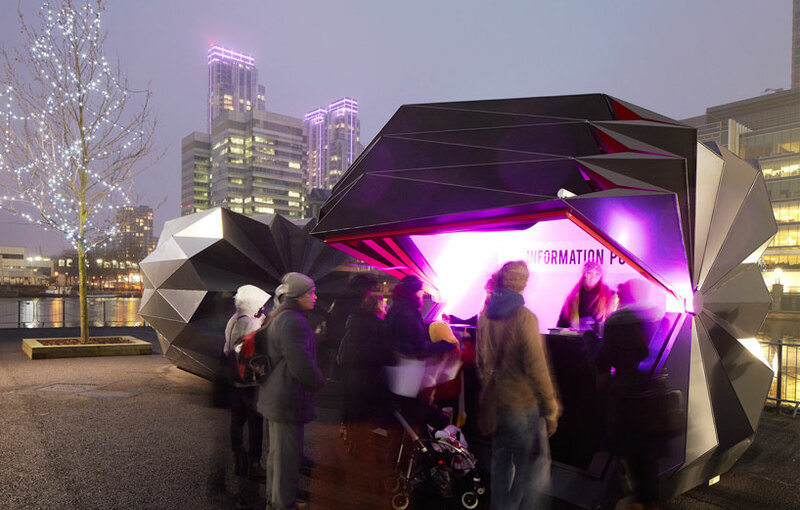 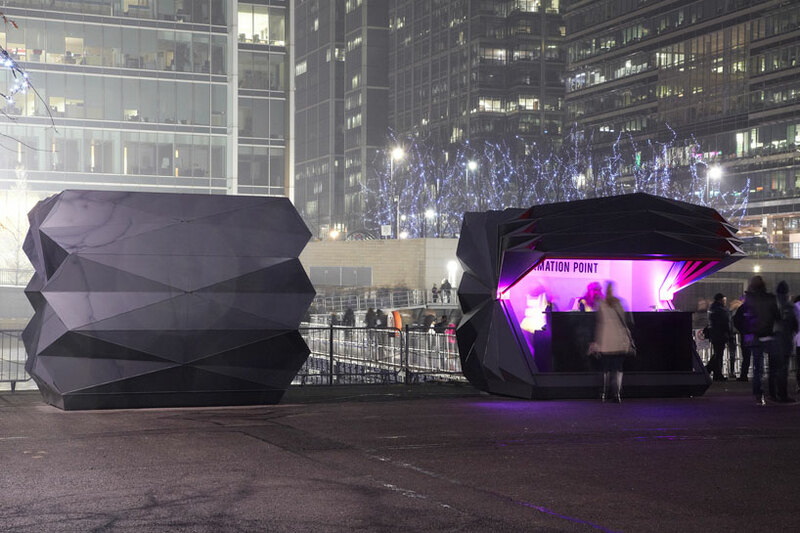 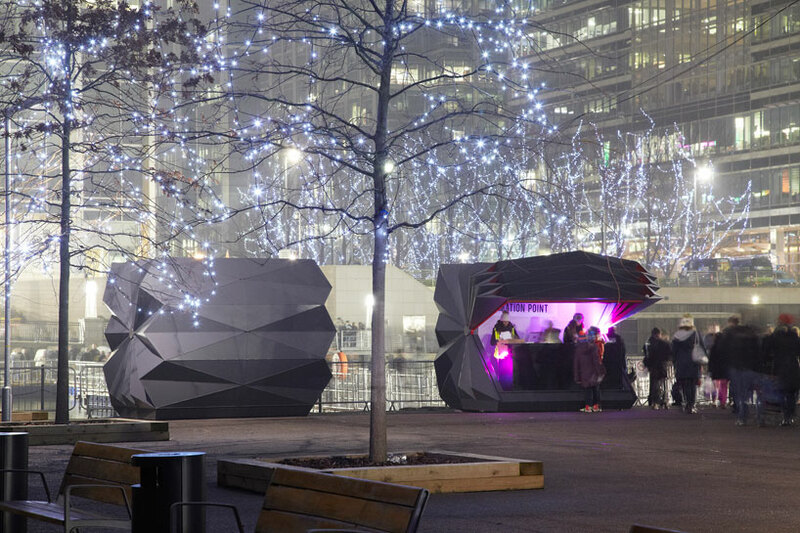 two prefabricated retail kiosk have been opened to the public at london canary wharf’s ice sculpting festival. 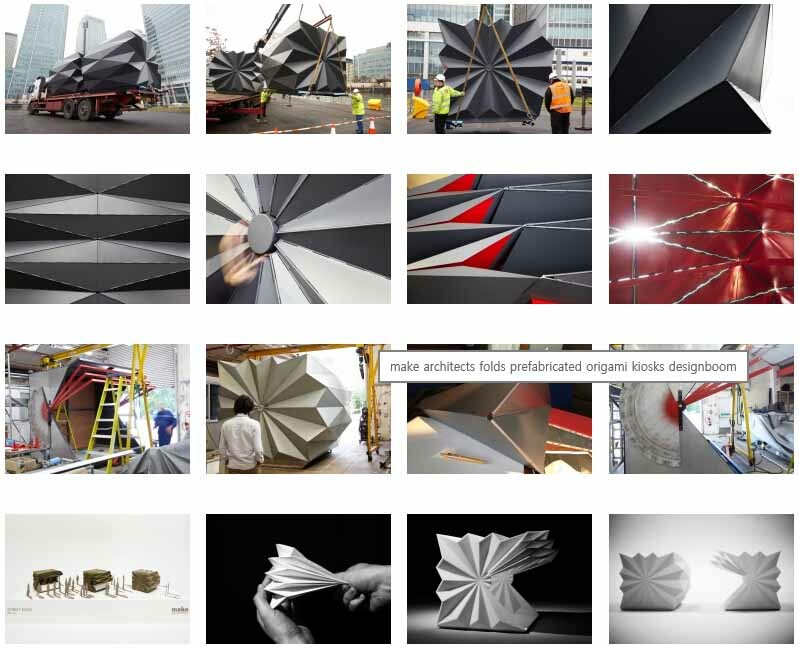 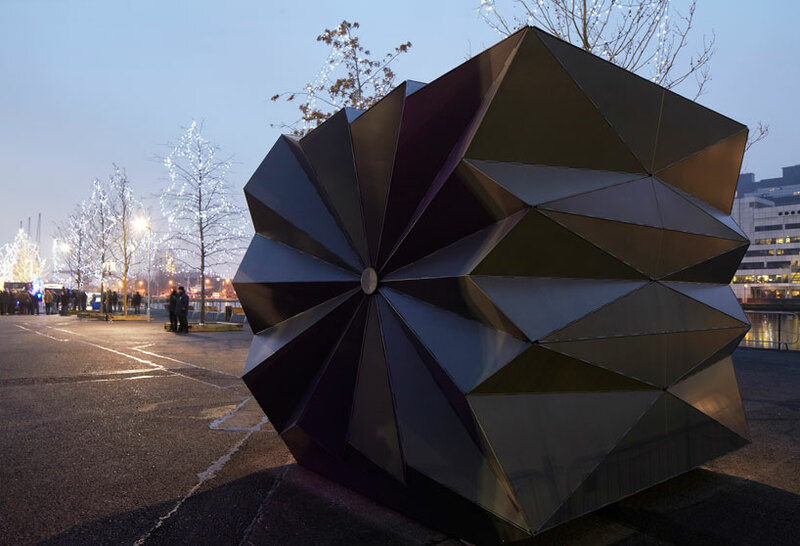 designed by make architects, the unique structures are based on the folded concept of origami with hinged aluminium panels that allow the unit to expand and contract like a fan. 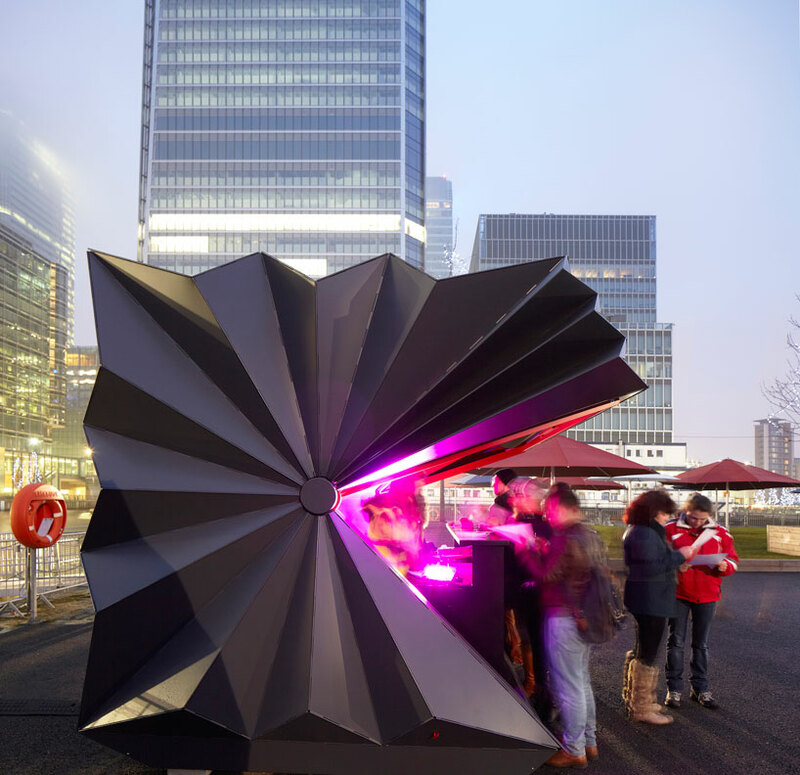 when closed the geometric form of the kiosks is expressed as a compact, sculptural box that can be transformed and expanded during use. 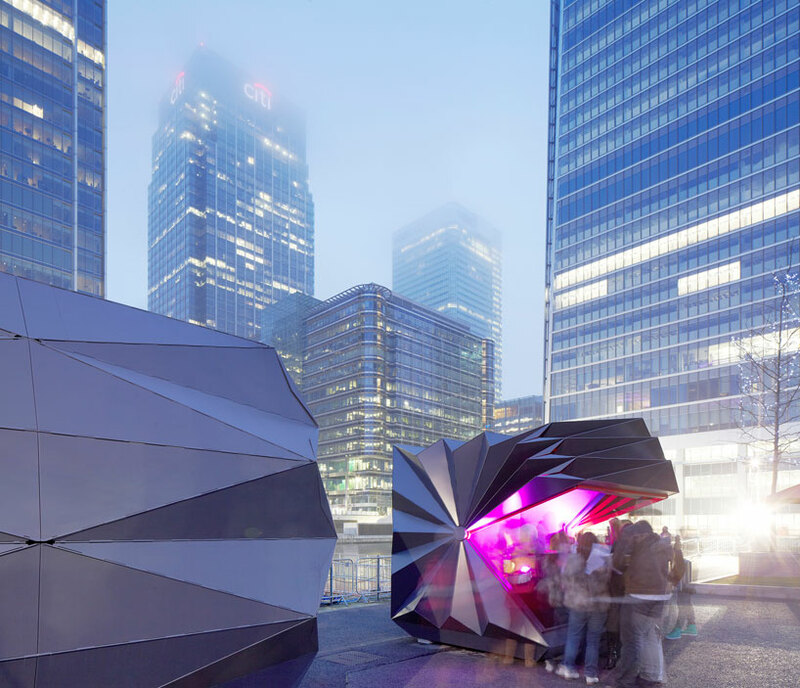 the lightweight design was tested and prefabricated off-site, before being easily transported to canary wharf via lorry.